A nice followup to my blog post on the wireless alliance - introducing the iFind location tag. iFind is a battery-free item location tag - developed by WeTag; it collects power from ambient electromagnetic sources, such as Wi-Fi transmitters or mobile phone antennas. The power attained can be converted into enough electrical currents and stored in a power bank in iFind, which simulates a battery that continually supports a Bluetooth 4.0 Low Energy (BLE) radio. 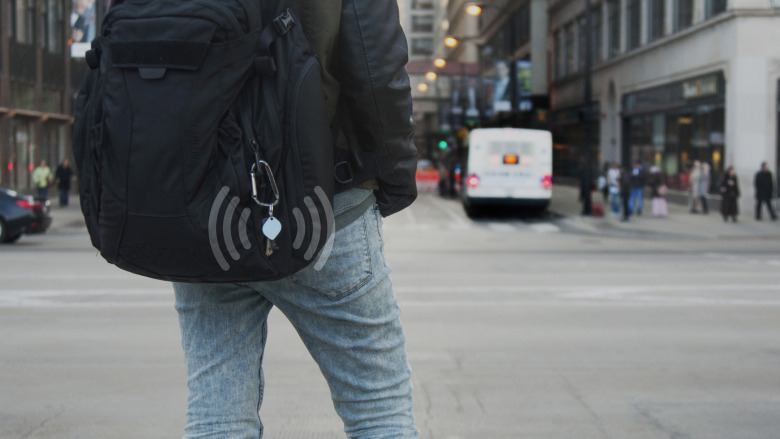 Not only do you have the ability to locate the tag (which may be connected to your keyring) from your mobile phone - it also allows you to locate your phone if you have the tag; simply shake it and your mobile phone will ring. Unlike passive tags which typically require no power to operate; the iFind can communicate as well as act as a simple beacon. It will be interesting to see how the technology used is applied in other IoT devices (licensing, or partnership) in the upcoming months to remove the need for battery or wired power sources and the logistical nightmare of maintaining or replacing them.